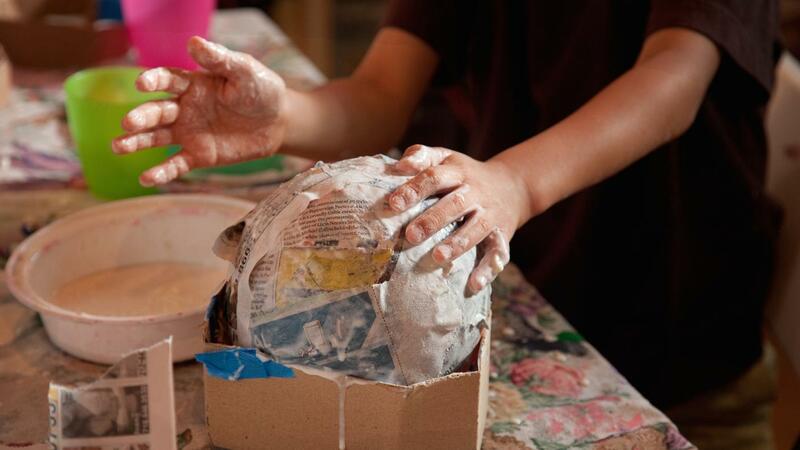 According to About.com, paper mache projects should have at least three layers. Having too many layers can make the project look bulky, and not having enough layers can make the project flimsy. However, the amount of overall layers needed depends on the project. Properly making a paper mache project requires time. Generally, it is best to allow each layer of paper mache to dry for around 24 hours before applying another layer. Not allowing each layer of paper mache to dry can ruin the project. Once all the layers dry, it is safe to apply paint or decorations to the project. How Do You Make a Papier-Mache Volcano? How Do You Create Sand Art?